Cleopatra's Sugaring Salon in Groton, Connecticut is committed to providing healthier hair removal treatments. We proudly carry on the ancient Egyptian art of sugaring, and promise you a unique, affordable experience. From the moment you walk through the door, you'll notice the salon isn't like any other--it's spacious, inviting, and comforting. 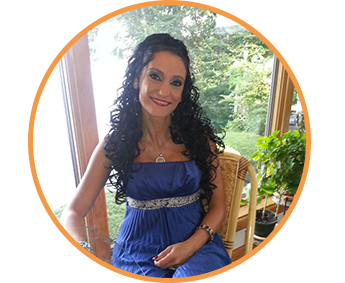 Sonia Bakri, the owner and operator of Cleopatra's Sugaring Salon, is proud to establish the first sugaring salon in Groton, Connecticut. Opened on July 20, 2015, Cleopatra's Sugaring Salon became the only salon offering this hair removal service in New London County. Sugaring has always been a part of Sonia Bakri's life, as it has been a tradition in her family and community. She attributes her silky, soft, and shiny skin to a life-long use of sugaring, and has practically eliminated all of her unwanted body hair. To Sonia's surprise, sugaring is not well known in the Groton area. Now she's bringing sugaring to offer an alternative to other, unpleasant hair removal treatments that can be painful. Sonia believes everyone should experience the healthy benefits of this hair removal treatment, and that has compelled her to open the first sugaring salon in Connecticut. Sugaring is an ancient Egyptian art of hair removal that was developed by Alexander the Great and the women of Alexandria. Originally, the process of sugaring used honey, however sugar replaced honey over time because it was less expensive. During this time, sugaring became popular because a hairless body was considered the standard of beauty. For centuries, sugaring was practiced only by women, often as a wedding tradition in preparation for their big day. Recently, though, men from all over the world have started sugaring. It is recognized worldwide as the preferred method of hair removal, with many benefits and flawless results. How Does the Sugar Process Work? Step 1: A patch of sugar paste is applied on the skin in the natural direction of hair growth. Sugaring does not use any sticks or strips at any point in the hair removal process. Step 2: With the continuous gentle pulling of the sugar paste against the direction of the hair growth, unwanted hair is removed. Afterwards, you may feel slight numbing in the sugared area, but people generally do not experience any discomfort. Tuesday: 10:00 a.m. - 6:00 p.m.
Wednesday: 10:00 a.m. - 6:00 p.m.
Thursday: 10:00 a.m. - 6:00 p.m.